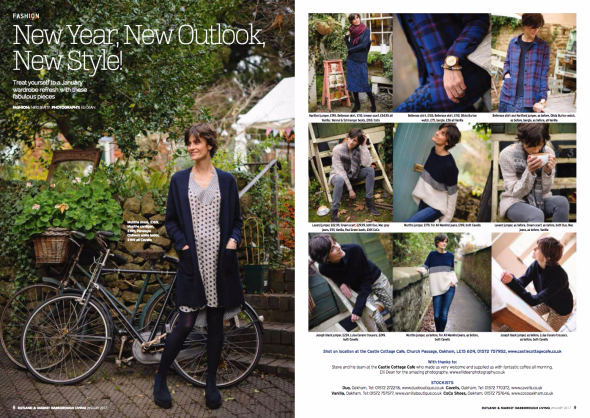 I shot January’s fashion for Rutland Living Magazine at the beautiful garden of the Castle Cottage café. Modelled and styled by Nikki Beatty. Fashion from Oakham independent shops.